TDR VOS SlickEQ: can it stand out from the crowd? 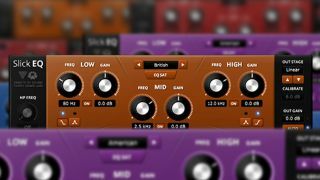 Tokyo Dawn Labs has collaborated with Variety of Sound to come up with TDR VOS SlickEQ, a new free mixing/mastering EQ for both Windows and OS X. Four output stages: "Linear", "Silky", "Mellow" and "Deep"
You can download TDR VOS SlickEQ now from the Tokyo Dawn Records website.